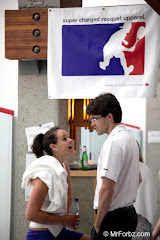 I realize that I'm putting this out a little late but it's a well known fact that squash players are procrastinators: Ask any pro and they'll tell you that everyone signs up for a tournament just before the deadline:) There are still a few shopping days left. 1. 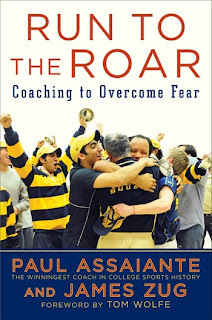 Because we like to read when we're not on court: A copy of "Run to the Roar" by the winningest coach in college sports history, Paul Assaiante and James Zug. Just one of the many great quotes: "Today is the present. They call it the present because it is a gift." 2. One for the boys: The new WISPA calendar:) 'Nuff said. PURCHASE HERE. 3. 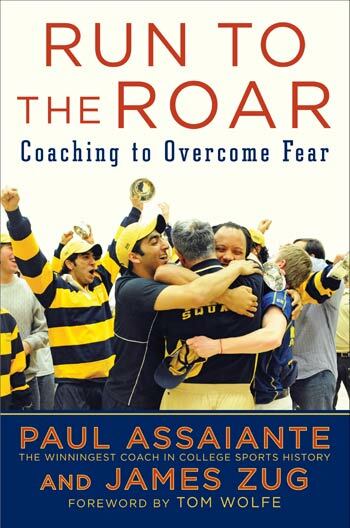 More reading! How about a subscription to Squash Magazine? 5. Some new gear. 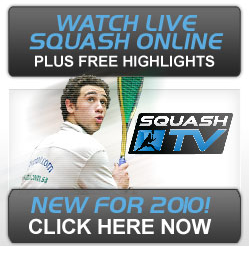 Style is sometimes more important than substance and your team could probably use some help:) Check out Squash Republic: Their growing catalogue of shirt designs is quickly earning them a reputation as the #1 online clothing store for squash players. 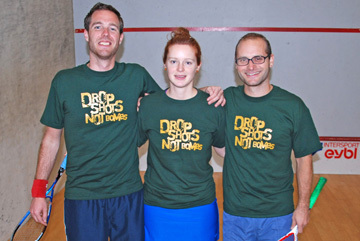 Pictured here wearing the "Drop Shots Not Bombs" design (L-R): Christian Coufal, Birgit Coufal (Austria’s # 1, WISPA ranking 70) and Gerald “Hasi” (which means bunny) Hasslacher (Austrias no 125). 6. 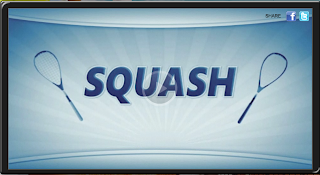 For the gamer: Check out the new version of "Racquet Sports" from Ubisoft. 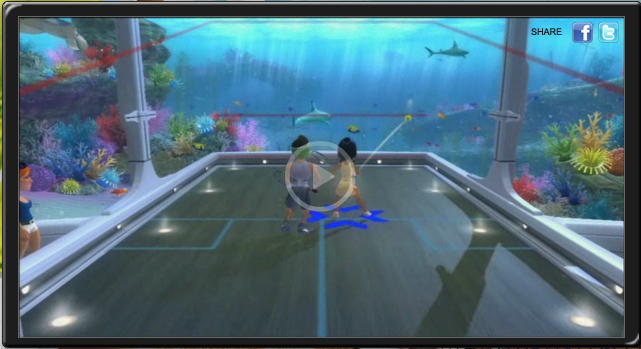 Dood, you can play underwater and you don't have to ask for lets! Nice. Photo © 2010 Chad Forbes. 8. 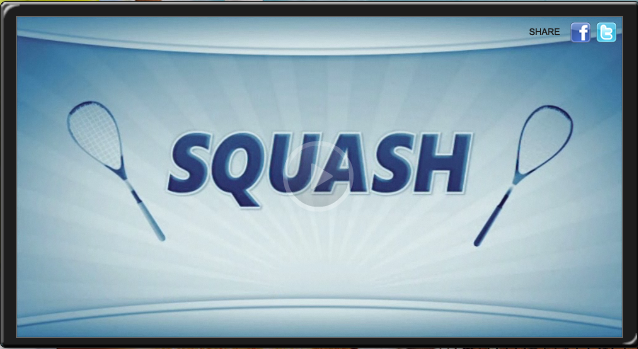 A new MANTA racquet! Such a nice christmas wishlist. Sending my warm christmas greetings to you and i hope that you get all the things you wished for. Merry Christmas! I'm a graphic designer based in Vancouver, Canada. 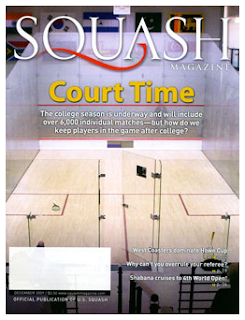 I started my first squash clothing line, S.C.R.U. Squash (think French Connection UK;) for squash players in 2000 (when I was a "D" player) and am now that I made it to the "A's" I'm going global with my new venture Squash Republic: "Power to the Player!" 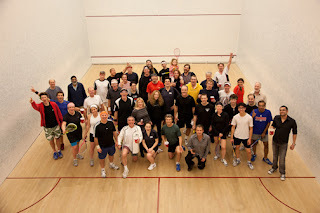 Locally, I'm the League Coordinator for the Vancouver Squash League and a long-time board member of The 2020 Fund, a fund that is raising money to ensure a future for junior squash in British Columbia.